He turned and there she was right on cue. Halley Newton, not the head cheerleader but definitely among the elite on the squad. Top ten percent of her class, beautiful, blond, popular, and normally aloof, but that was with all the other guys. Isaac was special. He was a transfer student, placed varsity in both football and basketball, played three musical instruments, had the highest GPA in the state, and was drop dead gorgeous. Yes, Isaac was very special, but not because of anything the kids at school had been told. If only they knew the truth. Isaac took her hand but instead of shaking, he held it, like they were holding hands romantically. She blushed. Her palm was sweating. He looked over her shoulder at Judy and Diane long enough so they knew he had noticed them. Suddenly, they had something better to do and pretended they hadn’t been looking at them. “Just transfered to Las Vegas High from Chicago.” He didn’t have a mid-western accent. He spoke like all the other kids with the Western U.S. “non-accent,” just like the newscasters. He wanted them to know he was different but not unapproachable, particularly Halley. He had plans for her, or he was supposed to anyway according to his “mother” Michelle. Isaac regarded that interesting revelation. Even though she was the proverbial bundle of adolescent schoolgirl nerves, she was very intelligent. She didn’t seem that way at the moment, but he admired that she was thinking of his feelings ahead of her own, or at least demonstrating the ability empathize. It was only late September and while the really ambitious kids were choosing potential schools and a few even looking at applications, most of them were oblivious to anything beyond graduation. She was so naive but who could blame her? She’d just turned seventeen a month ago, upper middle class parents, only daughter with one older and two younger brothers. Doted on, pampered, she’d never seen a day of hunger or desperation in her life. Isaac knew that he was here to change all of that permanently. Isaac switched gears. He hadn’t arranged this meeting just to engage in idle small talk. She blushed again. From her point of view, this was all happening so fast. She turned and ran a few steps then stopped, spun around and smiled at him. Then she ran up the stairs and into the admin building. In forty years, she’d have just pulled out her cell, but that was something she couldn’t even imagine yet. Issac was sitting at the dinner table with his “Mother” in their modest three-bedroom home near Bonanza and Eastern, a quaint older neighborhood which appealed to her sense of the clandestine. “Stop it, Isaac!” She slammed down her fork. The lasagna was upsetting her stomach anyway. She never could adapt to this species’s cuisine the way her “son” had. He jumped at the sudden noise, as if he were a scared little mammal. His face flushed in shame, and even that response reminded them both of the sacrifice they had made for the sake of their race. He lowered his head looking at his plate but not really seeing it. He’d finished his dinner and had seconds. Not unusual for a growing teenager, but then again, he was anything but usual. He looked up at her, uncomfortable at her touch. She removed her hand after interpreting the expression on his alien face. It was Michelle’s turn to grow pensive. “Don’t you like your dinner, “Mother?” He was taunting her now, but only a little. He didn’t like being reminded of the ultimate “sacrifice” he had yet to make. She looked at the smirk on his face. Without the usual expressions of body language and color changes on the dorsal projections, it took her a second or two before she comprehended what emotion he was expressing. “No. No, I can’t. Not if I’m to pass as your maternal parent. Honestly, the very thought of reproducing like they do…” She stopped realizing the effect such a crass statement would have on him. Isaac Vikers and Halley Newton married just after they graduated Stanford, he with a degree in Computer Science and her with a bachelors in Climatology. He had tried unsuccessfully to convince her to get her graduate degree in Bio-Neurology or Molecular Chemistry, but she wouldn’t have any of it. This was her passion, understanding the grand scheme of the history of the global climate. Although the current prevailing theory was that the Earth was headed for an ice age, she believed that the opposite was true, that within the next thirty to fifty years, Earth’s climate would continue to heat to a dangerous level, and if the effects of the so-called greenhouse gases weren’t reversed, eventually the planet would become too hot to sustain most mammals, including humans. Fortunately for Isaac, his skill sets included the ability to hack her personal computer and the university’s servers letting him modify the results of her research and thus inhibit her ability to find a solution or even to prove her fanciful theories had merit. After fifteen years of marriage, not only was Halley’s career on the verge of disintegrating, she continued to suffer the disappointment of being unable to conceive a child. She and Isaac had been to the top fertility specialists on the West Coast but none of them could help. It was Isaac’s fault. His sperm count was unusually low, almost non-existent. They talked of adoption, but Isaac made one excuse after another. Their careers kept them too busy for children, he was still grieving over his mother’s death, the world was too socially and politically unstable to justify raising a child, even through adoption. He sat impassively at the dinner table. How this reminded him of all the arguments he’d had with Michelle in the early days. Was he always meant to torture the ones he loved the most? Michelle, having fulfilled her role in “raising” Isaac to adulthood, had allowed herself to die. If Isaac sacrificed his future by mating with a mammal, she sacrificed her continued existence. She was never happy here anyway. In a sense, she was a good mother, giving everything, even her life, so her son could carry on. In his own way, he mourned her. He was right. Now all he had to do was delay Halley’s confirmation of the facts with actual verifiable data until it was too late for her to devise the method of reversing the detremental effects of global climate change. “I was talking about adopting a baby, Isaac.” Tears were streaming down her face. There was a time when he would have taken her in his arms, kissed her, comforted her, but that wouldn’t help now. He had to be impervious to her emotions in order to convince her that he was not supportive of adoption. A child would complicate things too much. Human infants were far too much like prey. He recalled Michelle’s fondness for mice and rats. As the words left his mouth, it suddenly occurred to Isaac that adoption might be the perfect answer. If Halley could be convinced to give up her career completely so she could dedicate herself to a child, it would solve everything. “I…I suppose you’re right, Isaac.” She started sobbing. Against his better judgment, or maybe because of it, he walked over to her. He stood behind her, putting his hands on her shoulders. Isaac could feel her body shaking. Then he leaned down and gently kissed her cheek. Isaac didn’t know how long she had suspected him, but it was long enough for her to fake her climate models and their results on the university servers and to perform her actual studies and experiments on computers in the Climatology Department at the University of Helsinki. She must have made the those arrangements when she became friends with Professor Milla Virtanen after the last World Climate Symposium five years ago. She told him that she had a terrific surprise for him and she didn’t want Isaac to miss out on it. Halley told him he was in for the surprise of his life. Although Isaac had successfully passed himself off as a human being for the past thirty-five years, even to the point of marrying a human female, emotions such as sorrow and rage were still difficult for him to express, at least until tonight. It had been three months since Lucerne, three months since Dr. Halley Newton Vikers had revealed her irrefutable research on climate change to the scientific community and to the world, three months since that research had been published in the scientific journals. Now scores of climatologists were in the process of confirming her conclusions, and very successfully so. The problem wasn’t that she had conclusively established that the global climate was and had been continually warming for centuries, but that she was on the cusp of developing a solution. If Halley had never been born, the world would have recognized the climate change phenomena by now, but only her unique perspective, her quirky combination of imagination, innovation, and puzzle-solving allowed her to manufacture a method of significantly reversing the heating effect, letting the globe cool so that life as the humans knew it would continue. Unfortunately, Halley’s success for the human race had tragically doomed Isaac’s own. They had been getting ready for bed when he broke down. Even if he could communicate his failure to his people, it was too late. They assumed that he would succeed and by the time their armada arrived in two centuries, the Earth would be ready to receive them. They were on their way. Even with their hyperdrive technology, the journey of tens of thousands of light years would still take that long. A mere remnant, two billion Saurians, expected to take possession of a planet with the proper climate, heat, humidity, and atmospheric carbon dioxide levels that would sustain them indefinitely and allow them to thrive on the world that had spawned them. Now none of that would happen. It was a one-way trip. Their drive fuel would be exhausted upon arrival. Two billion of his kind would live out their days in ships trapped in orbit and die in space. She stared down at him. Isaac, the thing she thought was her husband, was on his knees, face buried in his hands, weeping like a hysterical child and over what? The fact that she would save the human race from extinction? He had engineered his betrayal of her, of the Earth for decades, ever since they met that one September afternoon in high school. It was all a lie. Every “I love you,” every night in bed together, their wedding vows, it was all a lie. He had almost destroyed her and her planet. He didn’t bother to correct her, to say that Saurians were warm-blooded like mammals, not like the reptiles people assumed they were. What was the point? She had made his life a sham and what an asteroid collision with this world 65 million years hadn’t accomplished, she had managed to do successfully. Now the great Saurian race would succumb to the apparent necessities of fate and finally become extinct. Isaac knew she wouldn’t believe him. Who could? But he had a certain amount of control over his human form. He’d been a mammal too long to ever revert back but he could, for few minutes, manage a temporary shift. To her credit, Halley hadn’t panicked as he expected. Like a scientist, if not a wife, she accepted what she saw and then listened, first to his explanations and then to his ranting. “Oh you think?” She laughed, sounding nearly hysterical. Halley sat down on the bed. She kept looking at him, remembering how, for almost five minutes, he had let her see his true self, the evolved dinosaur, bipedal shape, arms, legs, a torso, opposable thumbs. That was the extent of the resemblance to humanity. He had been shivering and struggled to breathe. That’s why they needed uncontrolled climate change to occur, to “terraform” the Earth, to return the planetary climate to what it was nearly 100 million years ago. In a century or two, if she hadn’t been alive to develop the solution, that’s probably what would have happened. If it was that important, why didn’t he just kill her? Then, looking into his eyes. Watching the tears dry on his face, it became so abundantly clear. Isaac had fallen in love with Halley and he was still in love with her. Halley Watson Vikers had turned seventy-five years old last month. She would never live to see the fruition of her work, but she had lived long enough to see its beginning. The Earth’s climate was slowly cooling thanks to her methods and would return to pre-industrial levels within several more decades, but that was only half the solution. Isaac had allowed himself to die last year. He was buried next to his mother, if Michelle could ever be thought of that way. From the world’s point of view, Isaac and Halley Vikers had lived a long and loving life together as husband and wife, but in the last two decades or so, they had a relationship that was so much more. 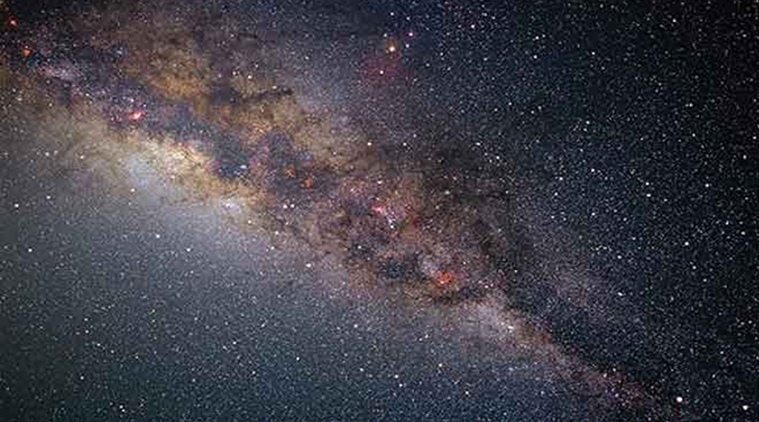 Isaac developed a revolutionary computer algorithm that allowed SETI to detect a large number of objects approaching the Solar System from the general direction of the Galactic core. The objects were significantly “blue-shifted.” The light waves and other radiation being emitted by them was being compressed, indicating they were coming closer, not moving away, and at an impossibly high rate of speed. They had to fake the message from the alien colony ships so that SETI could announce to humanity not only had they made first contact with an alien speciies but that they were refugees from worlds threatened by radiation from near the center of the Galaxy. The refugees needed a new world upon which to live. 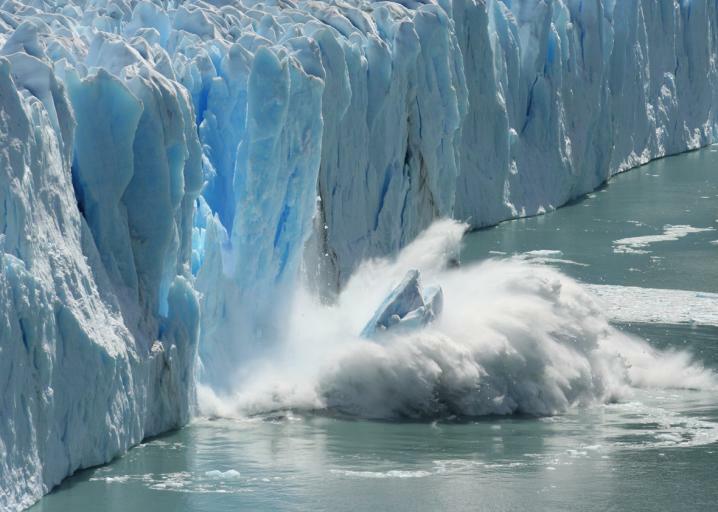 Earth’s climate was too cold and the atmospheric composition was wrong. But Halley was the key to finding them a new home world. Halley Watson Vikers was seventy-five years old when she stood in NASA’s Mission Control in Houston and watched the first series of probes launch from the Cape. Each one carried hundreds of thousands of microbes that once introduced into the atmosphere of Venus, would begin a cascade effect, reducing the greenhouse gases significantly, but not too much so. They were part of a multi-pronged solution that would have a colony world ready by the time the Saurian fleet arrived in the inner Solar System. The probe that had been launched right before Isaac died was transmitting a continual message to the approaching ships, one in a mathematical language they would be able to receive and understand when they had returned to sub-luminal speeds. Isaac had used his personal codes so they would know the transmission was authentic and trustworthy. Their destination would be changed from the third planet to the second. In two-hundred years, the people of the Earth would acquaint themselves with their new neighbors on the planet Venus and eventually realize that both species had something in common. As the first five probes reached escape velocity and faded from her view, Halley smiled. If an exceptionally charming boy hadn’t thought it was so sweet that her girlfriends kept encouraging her to talk to him, she never would have found a way to save not just one sentient species, but two. I wrote this for the Simply Marquessa friday fiction challenge. For #LyricalFictionFriday, the idea is to use a lyric or part of one as the inspiration for crafting a short story or other creative work. The lyric for December 14th is “I think it’s so sweet…how you let your friends encourage you to try and talk to me…” Find out more by clicking HERE. The lyric had such a “high school” feel, that’s where I felt compelled to start my story, but I didn’t want to write some typical high school romance tale, so I thought I’d give it a bit of an “edge”. I first thought of a time travel/change history sort of thing, but then the idea mutated several times until I arrived at the current iteration. I had also thought about letting the dinosaurs die off, but then again, it felt so much more satisfying to let Halley overcome her natural revulsion and sense of profound betrayal and work toward not only preserving the human race, but Isaac’s Saurian people as well. I’m sure I’m not the first person to think up the idea of at least some of the dinosaurs having evolved to intelligence and sentience in prehistoric times. Harry Harrison’s 1984 science fiction novel West of Eden envisioned intelligent Saurians and primitive humans living in the same world. Also, the 1997 episode of Star Trek: Voyager, Distant Origins highlighted a race of spacefaring dinosaurs who had long forgotten their distant origins on Earth. My story is no less outlandish and I hope it is actually uplifting. Decades ago, I read the 1986 science fiction novel Venus of Dreams written by Pamela Sargent about the gradual terraforming of Venus and I did a small bit of research on Wikipedia and Universe Today. 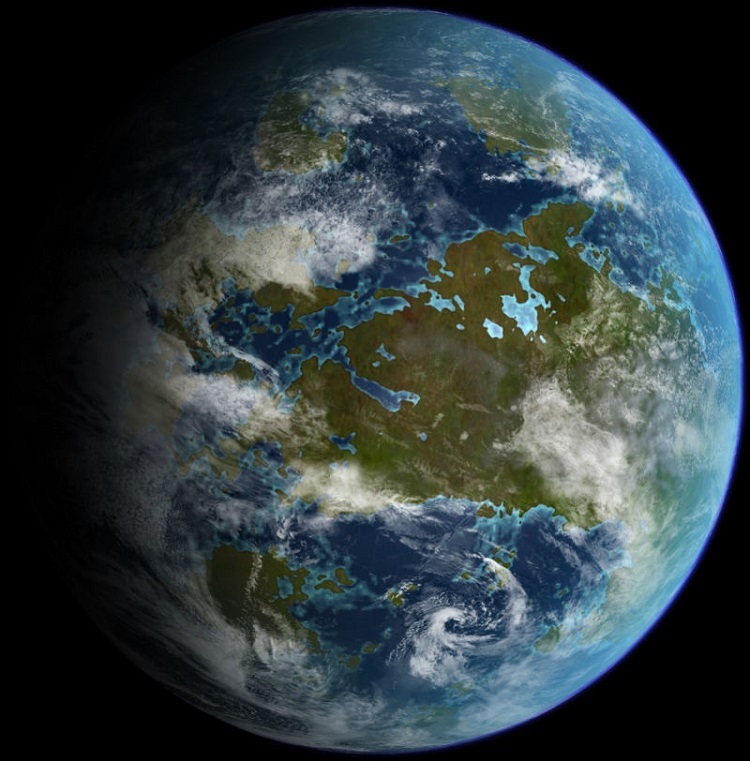 Obviously, the goal here isn’t to turn Venus into a second modern Earth in terms of climate, but instead into an Earth of approximately 65 to 100 million years ago, the new home of the Saurian race. It took the almost impossible love affair between two radically different species to save both their peoples, something Isaac wouldn’t have thought possible until he trusted Halley. To read other stories based on the prompt, go to #LyricalFictionFriday: “No” #fictionfriday.